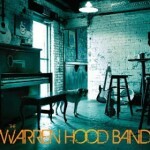 FTB podcast #215 features 2 fine new independent albums from THE WARREN HOOD BAND and RED TAIL RING. 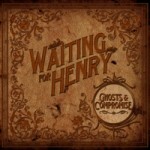 Also new music from KATHY GREENHOLDT, QUIET HOLLERS and WAITING FOR HENRY. Here’s the iTunes link to subscribe to the FTB podcasts. Here’s the direct link to listen now! 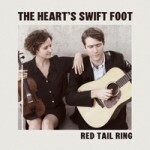 Here is the RSS feed: http://ftbpodcasts.libsyn.com/rss. Freight Train Boogie podcasts also air weekly on RootHog Radio and on Rob Ellen’s Flyinshoes Review. Get the Freight Train Boogie Americana Android App from Amazon for only $1.99. This entry was posted in Americana Music, Americana Music podcast, Music, podcast, roots music and tagged CLARENCE BUCARO, DOLLY VARDEN, JAMES HAND, JONNY FRITZ, KATHY GREENHOLDT, LIZZY LEHMAN, PAUL PHILLIPS, QUIET HOLLERS, RED TAIL RING, SOUR BRIDGES, TED RUSSELL KAMP, THE HONEY DEWDROPS, THE WARREN HOOD BAND, WAITING FOR HENRY. Bookmark the permalink.